Around the globe, dog owners have been following the practice of cropping dog ears. There are many reasons for doing this. Many people want to save the dogs from the over sized ears flapping left and right. Cropped ears look great on dogs. But they have to be done with care and consideration. 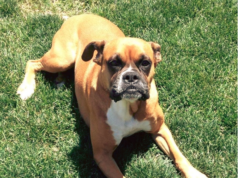 Make sure they are done properly keeping your boxer dog healthy and safe at the same time. Various cropping styles exist including short crop, battle crop, Long crop and show crop. As a common practice worldwide, cropping is common in boxer breeds due to their lower sided flabby ears which need to get upright for a sharper look. 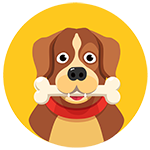 Only you’ve taken proper care and know your dog can handle the surgery, get the appointment booked after discussing with your vet for further precautions. As a common practice worldwide, cropping is common in boxer breeds due to their lower sided flabby ears which need to get upright for a sharper look. Only you’ve taken proper care and know your dog can handle the surgery, get the appointment booked after discussing with your vet for further precautions. Usually, owners want to create an alert look for the boxer dog; hence they get the ears trimmed. 1 How old to crop Dog ears? 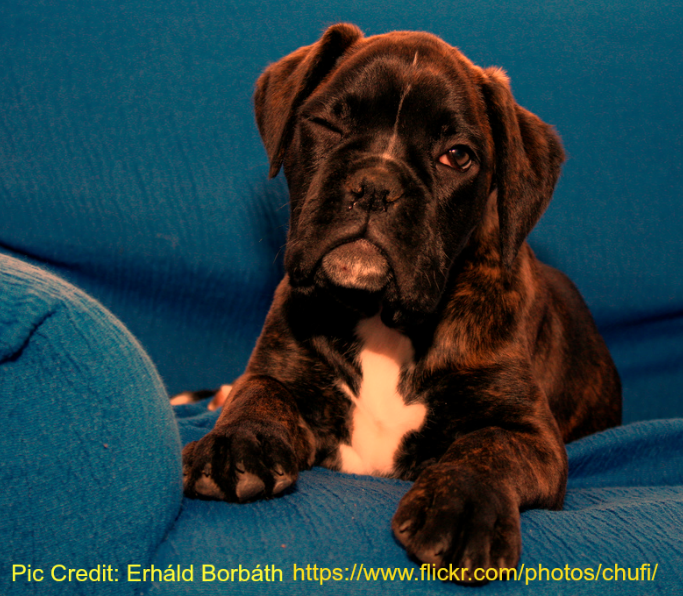 4 Read More here: Is it lawful to crop the ears of the Boxer dog? How old to crop Dog ears? 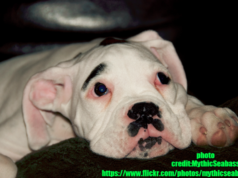 If you intend to get your boxer dogs ears cropped, The best time is to get when they are under 11 week of age. This is the time when the ear cartilage is soft and can be molded. Usually, the vets suggest 7 weeks onwards to 12 weeks. Many vets refuse to crop the ears if the boxer dog weighs a lot. They usually cut off if the boxer dog is till 15 to 16 pound and not more. Once you boxer dog is over with the cropping procedure, it is important to make them stay at the vet for a day for complete observation. They must be given pain medication for home usage. During the first two to three days the dogs were kept in complete anesthesia, and are completely unaware. It’s important for the family and owner to listen to the Vet’s instructions. Make sure the cone is kept in place to allow the dog to heal properly. Boxer dog ear’s need to be kept clean to avoid any infection formation. Allow the dog to feel comfortable and keep a check if the scab forms. Remove if any is formed by soaking them with water to allow easy peel off. An important tip is to make sure the dog is well fed with proper nutrition and a proper diet. To increase their immune system it’s important to add important supplements in their meal as a key practice for Boxer Ear cropping aftercare. The cost of the ear cropping surgery varies from place to place. Boxer dog ear cropping price also different from one vet to the other and no one can give a fixed figure of the actual cost. Depending on how intense it was on your dog, the method, time, healing all requires all sums up to different amounts. At the lowest many vets can either do this in $100-$200 and can go as high as $900. The average cost is $ 250- $300. 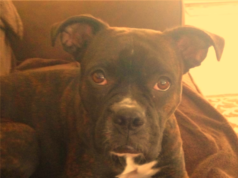 Read More here: Is it lawful to crop the ears of the Boxer dog? Previous articleHow to stop Boxers from Shedding? Please don’t crop ears. They are beautiful the way they are.